At 3000rpm, we take great pride in the quality of our customer service. Without you, the customer, who are we selling to? We dont claim to be perfect, after all we are human but unlike some companies we actually like to sort out each and every customer problem, big or small, as efficiently as possible! Its this attitude that prompted us to impliment our ticket system which will not only allow us to have direct correspondance with the customer, but also allow any member of staff to see exactly what the problem was and see each and every reply from both the customer and staff to allow them to assist in the most efficient way possible. If you have a query about a product or require information, we have a large knowledge base to which we constantly add new articles to help assist with most common questions. If you still need some assistance then please click the above and submit a ticket. We try our best to answer all tickets within the first 24 hours after retreival. Click here to view our knowledge base. In addition to our ticket system, we also have a live help feature, allowing you to chat directly to a member of staff. We would recommend checking our knowledge base first as most common questions have already been answered, saving time for you! Our live help feature can be found at the top right hand side of every page. You can also contact of by telephone however due to the number of staff employed it is difficult to keep track of an existing query. We would highly recommend using our ticket system to allow both you, the customer, and our staff members to see previous replies and be able to assist as quickly as possible! 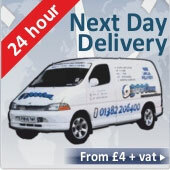 Call us now on (0845) 257 8853. While we try to answer each and every query the best we can but we have to go home at some point!